Wm. 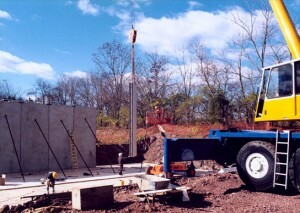 F. Hill and Assoc., Inc. has designed many wastewater treatment facilities ranging in hydraulic capacity from 2,000 gallons per day to 7,000,000 gallons per day for municipalities, commercial and residential development, and industry. Various treatment technologies have been employed including; conventional activated sludge, extended aeration, aerated lagoons, and sequencing batch reactors. 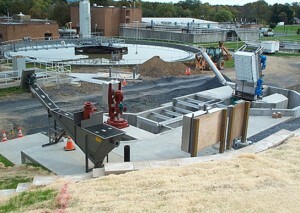 Wastewater treatment systems have been designed for both stream discharge and spray irrigation of treated effluent. Facilities have also been designed with flow equalization and various forms of biosolids handling and disposal, including reed beds. Wm. 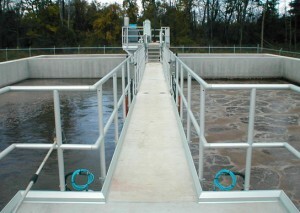 F. Hill and Assoc., Inc. also has expertise and experience designing upgrades and new wastewater treatment facilities to meet the strict nutrient discharge requirements under Pennsylvania’s new Chesapeake Bay Tributary Strategy. Whether your needs include minimizing your existing nutrient discharge, acquiring or trading Nutrient Credits, or a combination of both, our staff can guide you through these new and complex regulations. Wm. 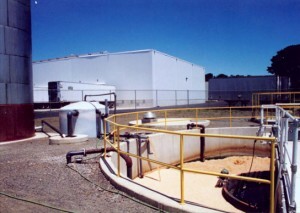 F. Hill and Assoc., Inc. has extensive design and field experience with both gravity sanitary sewers and pressure sanitary sewers. Considerable experience has been gained comparing the various models of grinder pumps and their advantages and disadvantages for various applications. Watershed Criteria (see Projects Page for full facility article).